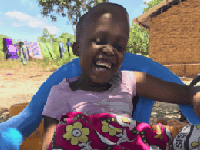 WFCF provided $5,731 in funding to the Imani Project in Kenya for wheelchairs and apparatus for children with severe disabilities. WFCF provided $1,600 in funding to the Jusarang Community Church in Seoul for structural repairs. 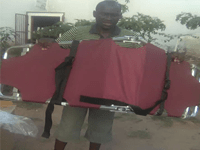 WFCF has provided funding to Luyaba Primary School for a stretcher, and to Chibolya Community School for a lavatory. 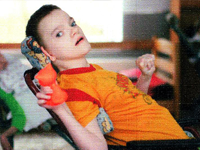 WFCF has provided $11,155 in funding to ICC for bathing and mobility equipment for disabled children. 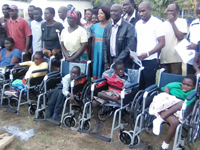 WFCF has provided funding to supply mobility devices for the children of Zimba Community Forest. 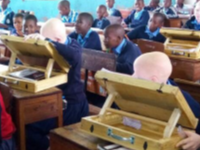 WFCF has partnered with Under The Same Sun to provide $3,301 for textbooks and reading stands for students with albinism. WFCF has provided $500 to fund new equipment for three children at Chibolya Community School through African Community Project. WFCF has funded $10,227 in support of the ICC project for custom fitted sleep aid systems. 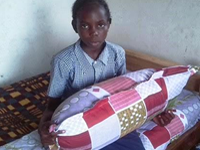 WFCF has provided $1,235 in funding to the African Community Project for beds and supplies for orphans with severe physical disabilities. 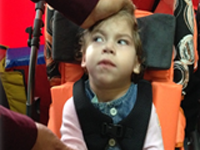 WFCF has partnered with Raising Hope, Inc., in Ukraine, to provide help for children with physical and intellectual needs. 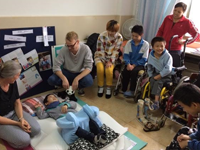 WFCF has provided $12,825 in funding to Diema's Dream Foundation for orphans living with severe mental and physical disabilities. 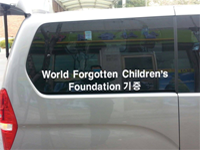 WFCF is pleased to announce the funding of $13,500 for a 15-passenger van for the Baby Box Church in Seoul, Korea. 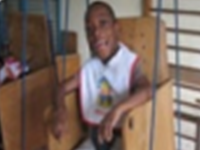 WFCF provides funding of $6,564 for the Center of Mobility and Stimulation of Children with Disabilities (CESEH) in Abidjan, Ivory Coast. 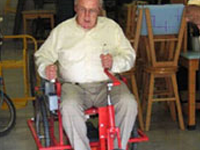 The Advisory Board of WFCF has approved $6,000 in funding to purchase wheelchairs for Diema's Dream Foundation. 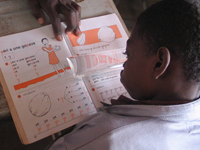 WFCF has provided $5,300 in funding to Handicapes en Avant School in Burkina Faso, West Africa. 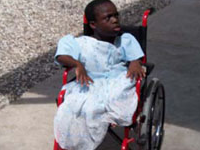 WFCF assists the Mercy & Sharing Foundation by providing wheelchairs for orphaned children in Haiti. 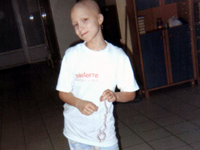 WFCF has funded the Ukraine Peace Foundation for medical procedures for disabled and orphaned children. 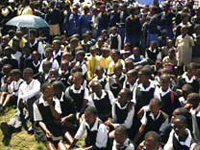 WFCF funded the Baylor International Pediatric AIDS Initiative to support medical treatment of orphaned children with AIDS. 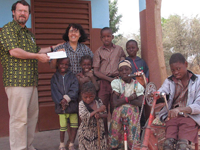 WFCF and Messiah College have provided funding to develop an electric tricycle for the handicapped children in Burkina Faso. 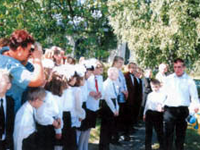 WFCF helped two handicapped orphanages in Ukraine by funding the purchase of nutritional and medicinal products. 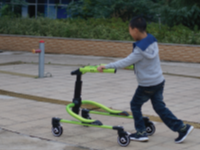 WFCF and Messiah College have funded the purchase of tricycles and visual assist items to support disabled children in West Africa. 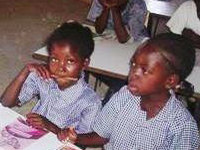 All projects funded by our organization must adhere to the mission statement of WFCF. If you would like to propose a project for funding, please see process as well as restrictions below. Letter of Inquiry – Short but thorough presentation of the problem and proposed solution. It should include a description of the organization/orphanage, project description, and proposed amount for funding. Submission of full proposal – WFCF will provide a full proposal template for completion. Proposal review – Proposals will be reviewed at WFCF monthly board meetings. You will be notified as to whether your proposal has been approved or not. Letter of Agreement – If your proposal has been approved, you must sign and return a provided letter of agreement, outlining project details and requirements. Final report – Upon project completion, you must provide a final report including project details, photos, receipts, videos, quotes from beneficiaries, etc.